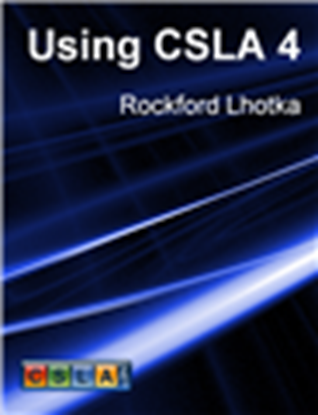 This ebook (in PDF format) is an introduction to CSLA 4, and will provide you with an overview of the framework, its goals and its most basic usage scenarios. This book is also part of the Using CSLA 4 ebook series, so if you purchase the series you will get this book automatically. The series consists of several related ebooks. While each ebook is separate, they are designed to work together to provide information about CSLA 4. 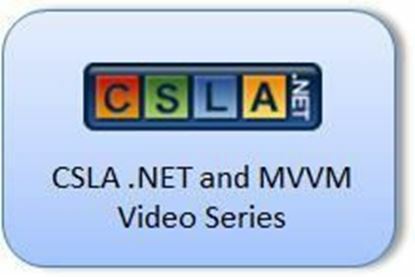 The book series shows you how to use the CSLA framework to build powerful and scalable applications for Windows, Silverlight and the web. 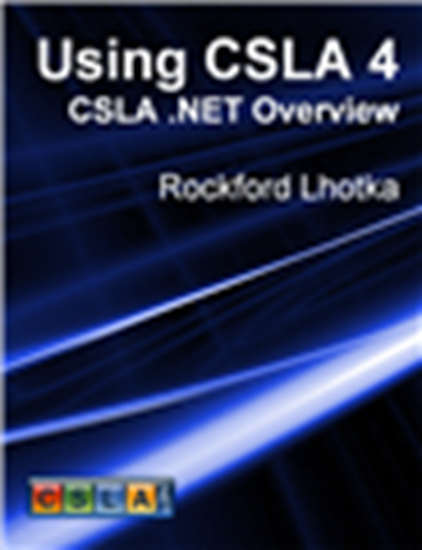 CSLA .NET is a comprehensive framework, which means it has many options and can support many more advanced scenarios. Other ebooks in the series provide much more depth for specific technologies and usage scenarios. 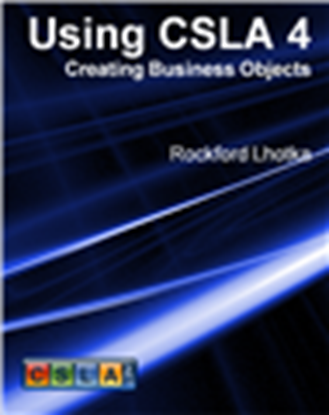 This ebook (in PDF format) provides in-depth information about how to create business objects and implement your business layer using the CSLA 4 framework. The ebook covers business object stereotypes, property and method implementations, business rules, validation rules, and authorization rules.